Black Honey don’t do anything halfway – including leaving the past behind. The Brighton foursome – vocalist and guitarist Izzy Phillips, guitarist Chris Ostler, bassist Tommy Taylor, and drummer Tom Dewhurst – are well-known for their unique blend of shoegaze, pop, and sheer rock that lives in a world all on its own. That world is expanded (and simultaneously gets closer to our own) in their first single since the release of their Headspin EP, “Hello Today,” and the group’s accompanying debut music video. While self-love is a bit buzzword-y (if not downright sappy) a term to describe what’s happening in “Hello Today,” the concept of realizing one’s own value – apart from what anybody (especially exes) might say – makes up a big part of the song’s focus.Demons belong in the past, and Black Honey unceremoniously leaves them there, choosing instead to focus on the present and future. 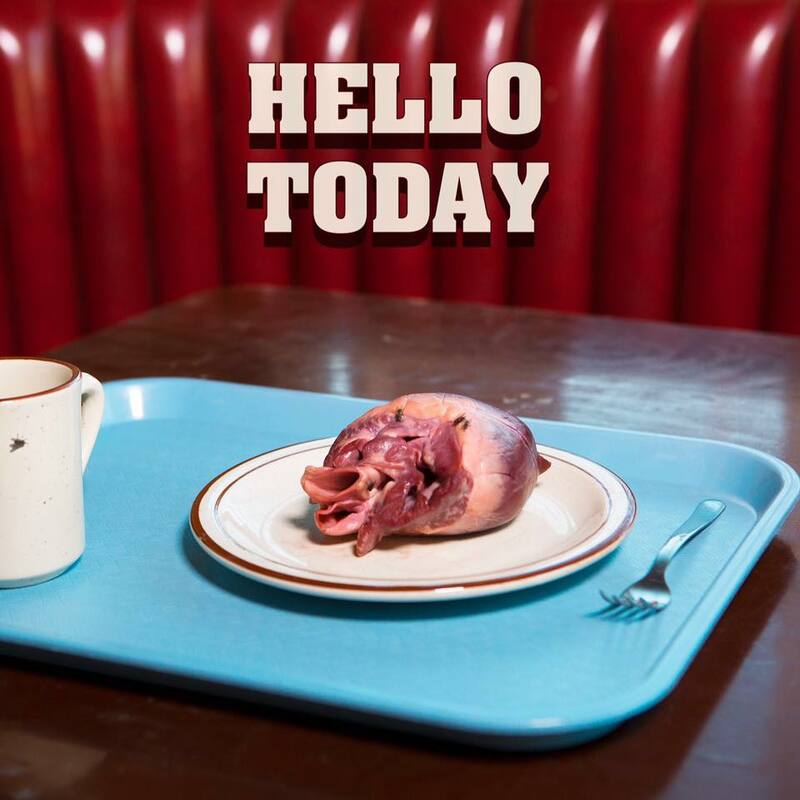 A decidedly more pop-rock tilt – coupled with a video that would make Tarantino proud – only add to “Hello Today”s edge. From the first guitar notes to Phillips’ playful count of un, deux, trois, quatre!, it’s clear that “Hello Today” leans toward downright anthemic. While it tends toward a slightly more pop vibe than the group’s usual shoegaze-infused rock, the play between strict genre gives the song its charm. It’s a belter meant to get you up and dancing – or jumping in close quarters with the fans around you at a live show. Phillips’ vocals in the first few lines echo those of Debbie Harry – appealing, yet strong. Which fits in perfectly with the song’s subject matter, learning to find ultimate value in yourself after a breakup or major relationship snag. The first few lines find Phillips both greeting the new day and recognizing that value is intrinsic – “I got heaven in my veins” – not based on someone else’s judgment. She goes on to subtly chastise the person who put her in this position. Mock-seriously layering on the French pet name mon chou and time-tested saying c’est la vie only sets up the next line to sting even more. From there, Phillips launches into the fun slammer of a chorus, playing her hardest along with Dewhurst, Taylor, and Ostler. As she repeats the lines, we’re drawn to believing, too, that there just might be something divine in self-acceptance. Who needs a toxic love that tears us down and rips at our insides when we can find a divine love exponentially more affirming of our good qualities? This is at the core of “Hello Today”’s message. If love seeks to destroy rather than affirm, then it’s not love at all. So put on those boots and walk away into the sunset – tomorrow will be brighter for it. The second verse finds Phillips further freeing herself from the situation. Though “the ghost” of those times was constantly reminding her of “the bad things,” she’s taken control. You can almost hear her smile as she sings, “I’m gettin’ free, rip the stitches out with me.” By now, Phillips is in charge of her own destiny – and she’s not stuck in remembering the good times or hoping for something that might have been. The concept of breaking free from the demons of the past takes center stage in “Hello Today” music video, which also just so happens to be the group’s debut. Directed by Nadia Lee Cohen, it features Phillips traversing the desert in an attempt to free herself from the recurring image of a human heart. Though desert might be the “in” setting for many indie music videos these days (Glass Animals, The 1975, Unknown Mortal Orchestra, etc. ), Black Honey’s take is markedly different in that it uses its setting as much as it does its props to get the full Pulp-Fiction-gone-west feel. Equal parts Poe and Tarantino, it simultaneously nails Black Honey’s cinematic pulp appeal and communicates the song’s central message.